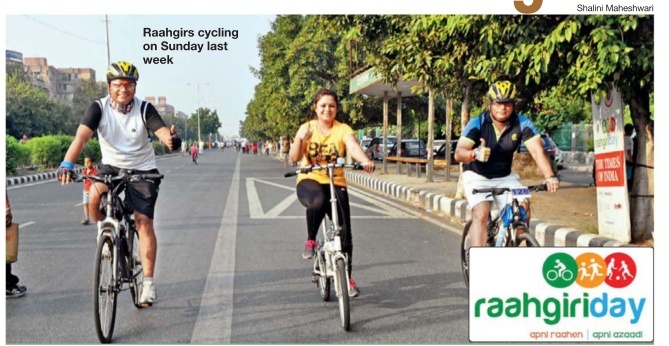 edition of Raahgiri Day . Spice up your last day of the weekend with a Zumba workout session by Beats & Fusion. If you are in a mood to wake up to a bright day and just watch others dancing, you can head towards hip-hop and Bollywood performance by Critical Innovation Crew. There is a lot more for fitness freaks who will have sessions on yoga and kickboxing by YHC Fitness, while those who love to cycle can rent a cycle for free from the TOI Cycle Corner. Adding a little more fun to the day, there is a scavenger hunt.